Day One and Two – Shop with any of our retailers from 09.00 on Saturday 1st December to 23.59 on Sunday 2nd December. £10 minimum spend. Members must have visited www.rewards4rugbyleague.com/inspiration/christmas and completed at least one qualifying online shopping transaction during the day of the promotion period by clicking though the Rewards4Rugby League website, which results in the collection of Rewards4Rugby League points. The £5 bonus is in addition to the points that a member would normally collect for their tracked online purchase. Bonus points will be added to the members accounts by Monday 10th December. Day Three - £25 in Rewards4Rugby League points have been dropped into 25 Rewards4Rugby League accounts at random. Members must log in to their account by 23.59 on 3rd December to claim these points. Any bonus points that have not been claimed will be removed and not be reallocated. 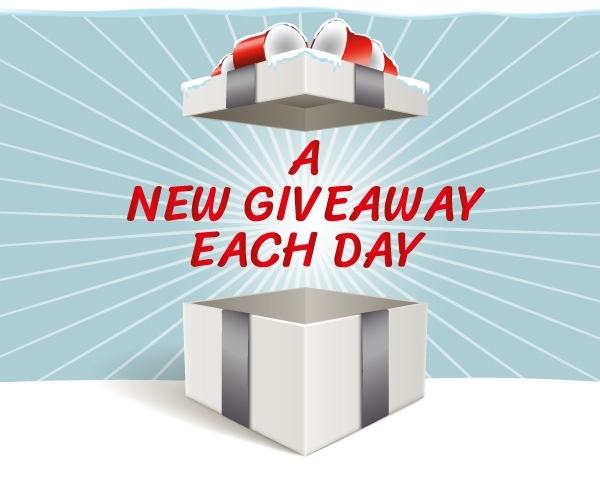 Day Four – Trivia Tuesday – one entry per member. One member will be picked at random to win £10 in Rewards4Rugby League points. Closing date for entries is 23.59 on Tuesday 4th December. Winner will be notified by Wednesday 5th December. Day Five – Sign up to one of our betting partners, bet365 or Betfred and receive £10 in points for each partner you sign up with. 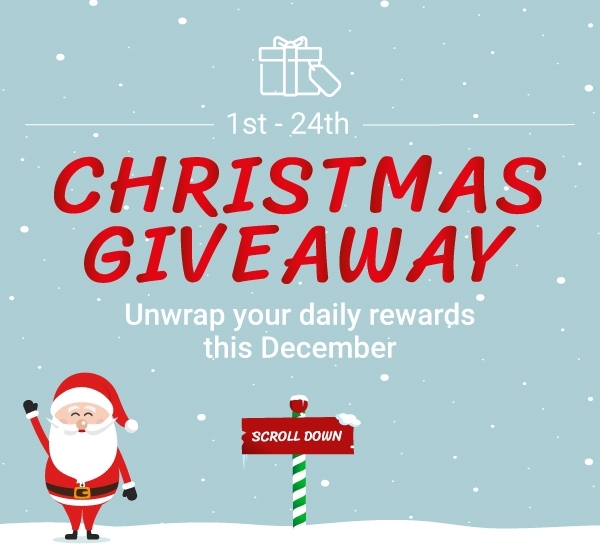 One member who signs up between Wednesday 5th December and Sunday 9th December will be entered into a prize draw to win £25 in points. The winner will be notified by Wednesday 19th December. 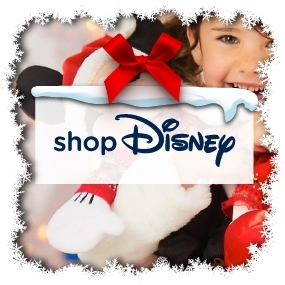 Day Six - Shop with any of our Toy retailers specified from 09.00 on Thursday 6th December to 23.59. Members must have visited www.rewards4rugbyleague.com/inspiration/christmas and completed at least one qualifying online shopping transaction during the day of the promotion period by clicking though the Rewards4Rugby League website, which results in the collection of Rewards4Rugby League points. The double points bonus is in addition to the points that a member would normally collect for their tracked online purchase. Maximum of £100 in bonus points can be collected. To qualify you must have shopped with any of the following: Mothercare, Shop Disney, Hamleys, Early Learning Centre, Lego, Build-a-bear, Hawkins Bazaar, Pound Toy, Toys ahoy, PlayMobil, Toy Street, Firestar Toys, Duncans Toys and Toy seek. Bonus points will be added to the members accounts by Thursday 13th December. 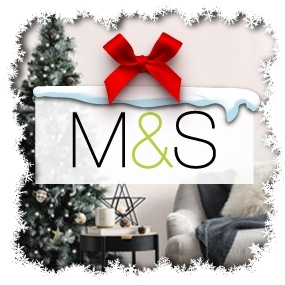 Day Seven – Shop with any of our retailers from 09.00 on Friday 7th December to 23.59. Member must have visited www.rewards4Rugby League.com/inspiration/christmas and completed at least one qualifying online shopping transaction during the day of the promotion period by clicking though the Rewards4Rugby League website, which results in the collection of Rewards4Rugby League points. All members who shop on the day of the promotion will be entered into a prize draw to win a £25 Lovell Rugby voucher. Winner will be selected at random and notified by Friday 14th December. Day Eight – Name the Retailer – one entry per member. One member will be picked at random to win £10 in Rewards4Rugby League points. Closing date for entries is 23.59 on Saturday 8th December. Winner will be notified by Monday 10th December. Day Nine - Shop with our Food and Drink retailers specified from 09.00 on Sunday 9th December to 23.59. Members must have visited www.rewards4rugbyleague.com/inspiration/christmas and completed at least one qualifying online shopping transaction during the day of the promotion period by clicking though the Rewards4Rugby League website, which results in the collection of Rewards4rugbyleague points. The double points bonus is in addition to the points that a member would normally collect for their tracked online purchase. Maximum of £100 in bonus points can be collected. To qualify you must have shopped with any of the following: Tesco Groceries, Waitrose & Partners, Asda, Morrisons, Iceland and Hello Fresh. Bonus points will be added to the members accounts by Thursday 17th December. 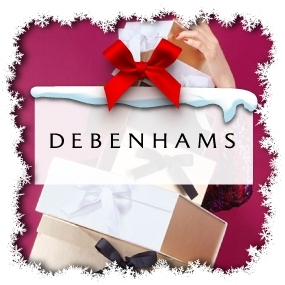 Day Ten - Shop with Debenhams from 09.00 on Thursday 6th December to 23.59. Members must have visited www.rewards4rugbyleague.com/inspiration/christmas and completed at least one qualifying online shopping transaction during the day of the promotion period by clicking though the Rewards4Rugby League website, which results in the collection of Rewards4Rugby League points. The double points bonus is in addition to the points that a member would normally collect for their tracked online purchase. Maximum of £100 in bonus points can be collected. Bonus points will be added to the members accounts by Tuesday 18th December. Day Eleven - Shop with any of our retailers from 09.00 on Tuesday 11th December to 23.59. Member must have visited www.rewards4rugbyleague.com/inspiration/christmas and completed at least one qualifying online shopping transaction during the day of the promotion period by clicking though the Rewards4Rugby League website, which results in the collection of Rewards4Rugby League points. All members who shop on the day of the promotion will be entered into a prize draw to win £50 in Rewards4Rugby League points. Winner will be selected at random and notified by Wednesday 19th December. Day Twelve - Shop with Currys PC World from 09.00 on Wednesday 12th December to 23.59. Members must have visited www.rewards4Rugby League.com/inspiration/christmas and completed at least one qualifying online shopping transaction during the day of the promotion period by clicking though the Rewards4Rugby League website, which results in the collection of Rewards4Rugby League points. The double points bonus is in addition to the points that a member would normally collect for their tracked online purchase. Maximum of £100 in bonus points can be collected. Bonus points will be added to the members accounts by Tuesday 18th December. Day Thirteen - Shop with any of our retailers from 09.00 on Thursday 13th December to 23.59. Member must have visited www.rewards4rugbyleague.com/inspiration/christmas and completed at least one qualifying online shopping transaction during the day of the promotion period by clicking though the Rewards4Rugby League website, which results in the collection of Rewards4Rugby League points. All members who shop on the day of the promotion will be entered into a prize draw to win a Betfred Super league shirt of choice. Winner will be selected at random and notified by Friday 21st December. Day Fourteen - Shop with any of our retailers from 09.00 on Friday 7th December to 23.59. Member must have visited www.rewards4Rugby League.com/inspiration/christmas and completed at least one qualifying online shopping transaction during the day of the promotion period by clicking though the Rewards4Rugby League website, which results in the collection of Rewards4Rugby League points. All members who shop on the day of the promotion will be entered into a prize draw to win a £50 Lovell Rugby voucher. Winner will be selected at random and notified by Friday 21st December. 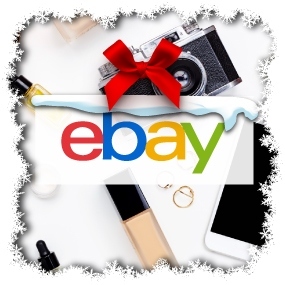 Day Fifteen - Shop with eBay from 09.00 on Saturday 15th December to 23.59. Members must have visited www.rewards4Rugby League.com/inspiration/christmas and completed at least one qualifying online shopping transaction during the day of the promotion period by clicking though the Rewards4Rugby League website, which results in the collection of Rewards4Rugby League points. The double points bonus is in addition to the points that a member would normally collect for their tracked online purchase. Maximum of £100 in bonus points can be collected. Bonus points will be added to the members accounts by Friday 4th January. 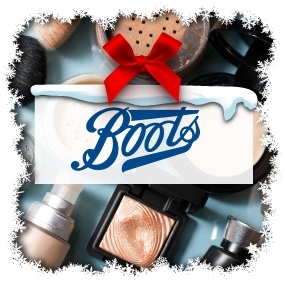 Day Sixteen - Shop with Boots from 09.00 on Sunday 16th December to 23.59. Members must have visited www.rewards4Rugby League.com/inspiration/christmas and completed at least one qualifying online shopping transaction during the day of the promotion period by clicking though the Rewards4Rugby League website, which results in the collection of Rewards4Rugby League points. Maximum of £100 in bonus points can be collected. The double points bonus is in addition to the points that a member would normally collect for their tracked online purchase. Bonus points will be added to the members accounts by Friday 4th January. Day Seventeen - Shop with our Greeting Card retailers specified from 09.00 on Monday 17th December. Members must have visited www.rewards4Rugby League.com/inspiration/christmas and completed at least one qualifying online shopping transaction during the day of the promotion period by clicking though the Rewards4Rugby League website, which results in the collection of Rewards4Rugby League points. The double points bonus is in addition to the points that a member would normally collect for their tracked online purchase. Maximum of £100 in bonus points can be collected. To qualify you must have shopped with any of the following: Moonpig, Clintons, Paperchase, Card Factory, Scribbler, Creased Cards, Marks and Spencer Personalised. Bonus points will be added to the members accounts by Friday 4th January. Day Eighteen – Who Am I – one entry per member. One member will be picked at random to win £10 in Rewards4Rugby League points. Closing date for entries is 23.59 on Tuesday 18th December. Winner will be notified by Thursday 20th December. Day Nineteen - - Shop with any of our retailers from 09.00 on Wednesday 19th December to 23.59. Member must have visited www.rewards4rugbyleague.com/inspiration/christmas and completed at least one qualifying online shopping transaction during the day of the promotion period by clicking though the Rewards4Rugby League website, which results in the collection of Rewards4Rugby League points. All members who shop on the day of the promotion will be entered into a prize draw to win 2 Betfred Super League Grand Finals 2019 tickets. Winner will be notified by Friday 4th January. Day Twenty – Anagram – one entry per member. One member will be picked at random to win £10 in Rewards4Rugby League points. Closing date for entries is 23.59 on Thursday 20th December. Winner will be notified by Thursday 27th December. Day Twenty-one - £25 in Rewards4Rugby League points have been dropped into 25 Rewards4Rugby League accounts at random. Members must log in to their account by 23.59 on Friday 21st December to claim these points. Any bonus points that have not been claimed will be removed and not be reallocated. Day Twenty-two - Trivia – one entry per member. One member will be picked at random to win £10 in Rewards4Rugby League points. Closing date for entries is 23.59 on Saturday 22nd December. Winner will be notified by Thursday 27th December. 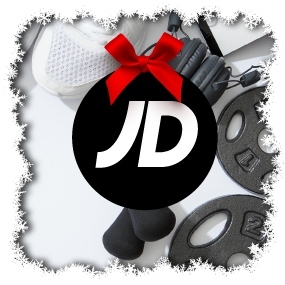 Day Twenty-Three – Members must set their goals by Sunday 23rd December 23.59 to be entered in the prize draw. One member will be picked at random to win £20 in Rewards4Rugby League points. Closing date for entries is 23.59 on Saturday 22nd December. Winner will be notified by Monday 8th January. Day Twenty-Four - Shop with any of our retailers from 09.00 on Monday 24th December to 23.59. £10 minimum spend. Members must have visited www.rewards4rugbyleague.com/inspiration/christmas and completed at least one qualifying online shopping transaction during the day of the promotion period by clicking though the Rewards4Rugby League website, which results in the collection of Rewards4Rugby League points. The £5 bonus is in addition to the points that a member would normally collect for their tracked online purchase. Bonus points will be added to the members accounts by Tuesday 9th January. Christmas campaign daily offers run from 1st December at 00.01 to 24th December at 23.59. Members must have visited www.rewards4rugbyleague.com/inspiration/christmas to be eligible for the daily promotion. All shopping promotions are subject to £10 minimum spend excluding VAT. Your points bonus will be awarded against the first qualifying online transaction recorded in the promotion period. If this online transaction is subsequently declined or rejected by a retailer, Rewards4Rugby League will remove the promotion bonus points. Promotion bonus points will remain as pending until the first qualifying transaction made within the promotion period has resulted in Rewards4Rugby League points being allocated and becoming live on the relevant member’s account. Standard Rewards4Rugby League terms and conditions apply.